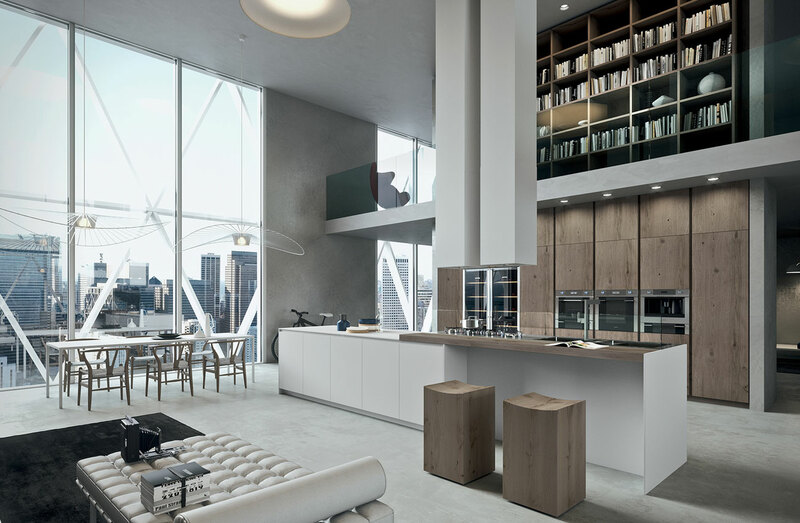 There is so much to love about the AK_04 kitchen by Italian manufacturer, Arrital. First there is the harmonic balance between man made materials with clear finished wood veneers, then there is the asymmetrical geo style that is composed of both closed cabinetry and cantilevered counters and of course there is also the super functionality of the kitchen’s composition. 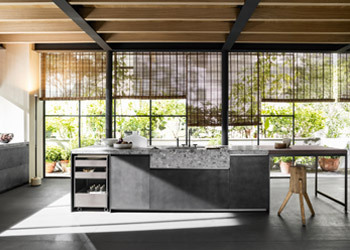 Available through Retreat Design in Subiaco, Washington, Australia, the AK_04 kitchen is a Franco Driusso design that won the 2013 European Interior Innovation Award and I can see why, its amazing. 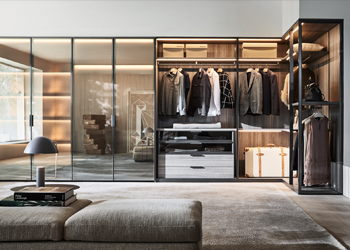 Arrital has since taken the original Franco Driusso AK_04 kitchen design and layered into it superior European manufacturing technologies in both the kitchen’s incredible finishes and its colours with a final result that is both beautiful to look at as well as beautiful to use. This truly is a chef’s dream kitchen.